Next week, the Government of Ontario will deliver a budget with measures to cool off the inferno that is Toronto’s real estate market. Those fire retardants will take the form of a foreign buyer’s tax—much like the one imposed in Vancouver by the provincial government last year—and measures intended to encourage housing development, adding supply to a desperately short market. Such initiatives seem promising, but they will almost certainly not be enough to help most Ontarians. That’s because most people looking for a solution to the problematic housing market are still asking the wrong question: how to make homeownership affordable for the largest number of Canadians. In two of Canada’s biggest cities, that’s no longer a realistic policy objective—or, at least, no more reasonable than wanting to make Aston Martin ownership affordable. In Vancouver, even a 50 percent correction in the price of the averaged detached home would bring it down to a measly $750,000—hardly the definition of affordability in a city where the median household income is just over $75,000. Prices have escalated so dramatically in Toronto over the past year that a 50 percent haircut would bring prices back to where they were in 2012—a then-record high of $542,174. And while a more moderate decrease (say, 25 percent) is well within the realm of possible outcomes, it would disproportionately affect younger homeowners, who purchased more recently and at higher prices and therefore have less equity to shield them from the pain of any downturn. They’re also the least likely to be able to weather an increase in financing costs—which seems inevitable, given that the Federal Reserve has already started hiking interest rates, and the Bank of Canada appears poised to follow (albeit reluctantly) in its footsteps. In this sort of environment, helping young Canadians get into a housing market that they can’t otherwise afford—as the BC Liberals’ newly announced program for first-time buyers purports to do—is like lending someone money so they can buy a ticket on the Hindenburg. And yet, politicians continue to trip over themselves in order to get as many buyers on board as possible. They’re not entirely to blame. For three generations, housing policy in North America has explicitly and almost exclusively favoured owners. And no wonder: home ownership, according to the prevailing orthodoxy, was an unalloyed social good, one that enriched both the people who bought houses and the neighbourhoods that hosted them. In the United States, that idea ultimately distorted our view of the purpose of housing, and transformed it from an asset that was prized for its stability and durability into the subject of collective get-rich-quick schemes. And like all such ploys, this one won’t end well for the people who got in at the end—or the politicians who helped shoehorn them into it. This reality is beginning to dawn on Canada’s millennial homeowners. According to a recent CIBC poll, among those who own homes (the majority of whom bought with help from their parents), more than four out of five plan to sell in the near future. Many said it was because their mortgage was making them cash poor (63 percent), or because rising interest rates could make it hard for them to pay their bills (57 percent). Perhaps most crucially, 36 percent thought of renting as the “better option.” They’re onto something. That’s why, instead of incentivizing home ownership, politicians should focus on ensuring that middle-class Canadians—the nurses, teachers, paramedics, public servants, and assorted white-collar professionals who provide the economic and social lubrication for the engine of civilization—can access affordable shelter. That means being able to put a roof over your head without it consuming 50 percent of your take-home pay, never mind the 120 percent that BMO says the average detached house would cost the average Vancouver family. And in Toronto and Vancouver, that’s means favouring renters, and renting, in a way that’s never happened before. The good news is that some politicians are slowly waking up to this new state of affairs. In Vancouver, Gregor Robertson has embarked a conspicuous campaign that encourages voters to pressure their MLAs to support renter-friendly policies ahead of next month’s provincial election. The Kathleen Wynne government in Ontario also gets it, albeit belatedly: its announcement of a package of pro-affordability policies on April 20 included an extension of the province’s rent-control guidelines to the entire market and a five-year, $125 million program that rebates development charges to companies building new rental units. But any politician who speaks out in favour of renters is bound to face enormous pushback, given the accumulation of interests on the side of home ownership—and the relative paucity of players who support renter-friendly policies. From big banks and real estate agencies to mortgage brokers, interior decorators, and other smaller fish in the ever-expanding economic ecosystem that surrounds housing, there are literally thousands of people whose livelihoods depend on Canadians buying more houses than they can afford, and plowing the rest of their disposable income into renovation projects that are the stuff of an HGTV-powered fever dream. Almost nobody gets rich off of people who choose to rent. That’s why, rather than trying to bring this massive behemoth to heel, the government should direct its energy (and capital) toward more productive ends. The Canada Mortgage and Housing Corporation, whose decision to insure “high-ratio” mortgages—that is, mortgages in which the bank lends over 80 percent of the purchase price—greatly contributed to Canada’s housing boom, is sitting on a balance sheet worth billions of dollars. 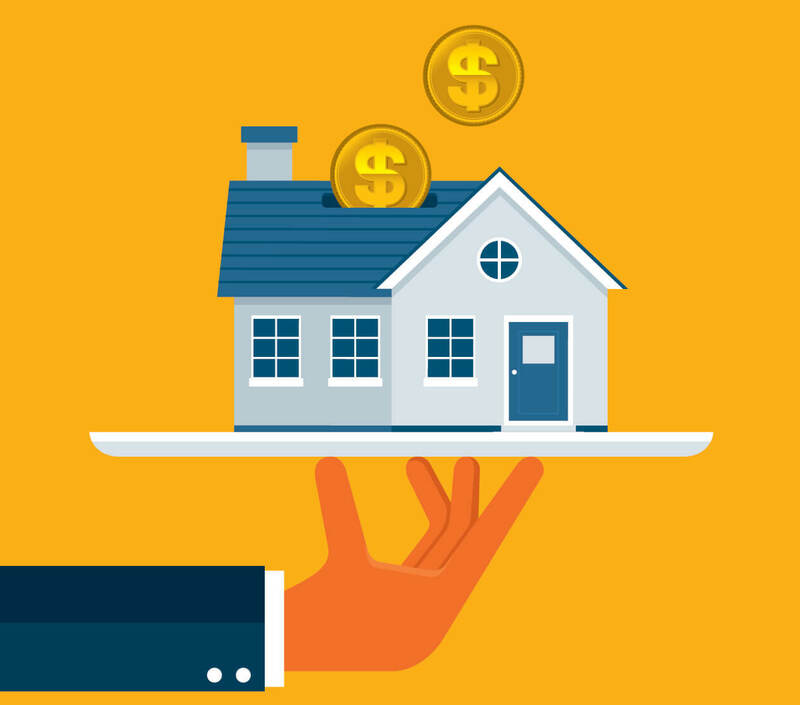 It generated nearly $2 billion in net income in 2015 from the fees that high-ratio borrowers paid to have their mortgages insured, and it has kicked upwards of $20 billion into the federal treasury over the last decade. Rather than using that money to “improve the government’s fiscal position,” as has been the case, Ottawa should send it back to Toronto and Vancouver, through any number of affordability-oriented projects. That could mean the revival of a federal co-op housing program, which in previous iterations has helped build more than 50,000 units of housing across the country. It could also mean placing greater emphasis on purpose-built rentals, where the annual increase is linked to inflation rather than the vagaries of the housing market. But what it absolutely must mean is a commitment to protecting affordability rather than promoting ownership. That will require a major shift in the mindsets of the people (and policymakers) in this housing-mad country. But as the CIBC poll suggests, that change is already underway. And while politicians aren’t exactly known for their willingness to stand up to home-owning voters, a bold volte-face isn’t totally inconceivable. Even homeowners are starting to realize that turning a $350,000 bungalow into a $2.5 million lottery ticket comes with a cost, and it’s one they have to help pay—whether by watching their adult children move to more affordable markets or by seeing their neighbourhood lose the vitality that only young families can contribute to a community. There is precedent for collective and decisive government action around housing affordability, as newly retired UBC geography professor David Ley told the South China Morning Post’s Ian Young in a recent interview. “For a brief time, from 1972 to 1975, it was at all three levels: there was the new ‘open society’ of [Pierre] Trudeau at the federal level, there was the first ever NDP administration in Victoria, and there was a reform movement in Vancouver.” Now, it falls to Justin Trudeau to help save Toronto and Vancouver from themselves. His government’s recent budget was a good start, given that it committed the federal government to a role—and a meaningful one—in the fight for affordable housing that it had largely abandoned in recent decades. But while the money will surely help, government must do more. Ottawa, along with all other levels of government, has to stop prioritizing home ownership over the ability of middle class citizens to put a roof over their heads without draining all of their financial resources in the process. There’s still work to do, if Premier Wynne’s recent comments are any indication. “When young people can’t afford their own apartment or can’t imagine ever owning their own home, we know we have a problem,” she said. “And when the rising cost of housing is making more and more people insecure about their future, and about their quality of life in Ontario, we know we have to act.” Therein lies the rub: both Canadians and the politicians who represent them have to start imagining a future in which they don’t own their own homes. And if those politicians continue to act in ways that prioritize the ability to buy real estate over the capacity to afford shelter, people with insecurity about the future aren’t going to get the kind of help they really need. We’ve already lost the battle here. Let’s not lose the war.